One person I’ve gotten to know well and admire this year is Dr. Myra Zarnowski, Professor of Children’s Literature at Queens College School of Education, part of the City University of NY. Myra specializes in teaching undergraduate and graduate students how to teach nonfiction literature in the classroom. She has studied the books written by iNK authors and she is an expert on the Common Core Standards, now the new educational objectives adopted by 47 states. 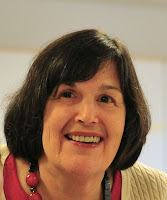 Recently she gave a webinar for Capstone,a leading educational publisher, with Marc Aronson and Mary Ann Cappiello about how to meet Common Core Standards using various strategies and children’s nonfiction. Usually Myra interviews authors (including moi) but today, I thought I’d turn the tables and interview her. Myra, Can you explain, in a nutshell, what the Common Core Standards are about and how they will change the educational culture in this country? The stated goal of the CCSS is to prepare students to be college and career ready. To get the skills they need, students in every grade will be spending more time reading nonfiction literature and thoughtfully responding to it—50% of all reading in elementary school and 70% in high school. That’s the exciting part. Nonfiction is going to be central to much of what we do. Teachers at all levels will be using more nonfiction, and they will be using it to study selected topics in depth. It is our green light to dig deeply into topics in math, science, and history. We’ll be doing some close reading--comparing, integrating, synthesizing, and evaluating books and related materials. We’ll be looking at the craft of writing as well as the content. Above all, we’ll be supporting students as they develop their own evidence-based ideas. What are some of the problems teachers articulate about using children’s nonfiction in the classroom? The biggest problem teachers talk about is that they don’t know nonfiction books. As they strive to provide a better balance between fiction and nonfiction in their classes, teachers will be on the lookout for quality nonfiction. That means that we all have to do our part to help teachers find the books they need. The curriculum isn’t going away. Teachers will still be teaching math, science, and social studies. So what they need is a means of finding nonfiction literature that can enhance what they are already doing. They also need to understand the wide range of formats offered by nonfiction literature and its unique features. The iNK website is clearly a major “go-to” place to find this information. Another problem is envisioning what teaching will be like as we incorporate the CCSS. There will be changes in how we teach as we focus on meeting these new standards. The standards call for finding key ideas and details, examining the craft and structure of nonfiction, and integrating knowledge and ideas from several sources. We will be doing this at all grade levels, K-12. For many of us, that will mean rethinking and redesigning what we do. I think these changes will be exciting and productive, but like any change it will take getting used to. Finally, some teachers think that nonfiction is too hard for their students. That’s because we have a history of believing that narrative is easier to understand than information. That’s wrong on two counts. First, nonfiction is as understandable as fiction. Second, much nonfiction is narrative. It tells a story, but the story must be true. Even nonfiction that doesn’t tell a story is understandable when it is well written and has quality features like descriptive details, clear organization, an enthusiastic voice, and an appealing design. We teachers need to “jump in” and start using quality nonfiction and simply watch our students’ reactions. What are some of your favorite strategies using our books? Can you give some specific example from iNK authors? This year I am working with 5 first grade teachers to study animal size and shape. What better way to begin than using Steve Jenkins’ books What Can You Do With a Tail Like This? and Actual Size. We used the first book to tap into how the author structured the information. We constructed a “Question-Answer-Detail” (QAD) chart to collect information about how animals use their noses, tails, eyes, feet, and mouths. The author so clearly organized the information that collecting this information was easy. Then it was available to use for other purposes. We used both books as the basis for a bunch of math activities. We made a Venn diagram comparing similarities and difference between the ways in which humans and animals use their noses, ears, eyes, feet, and mouths. We made up math problems based on animals’ weights and lengths and constructed graphs. We even made riddles about animals. 2. 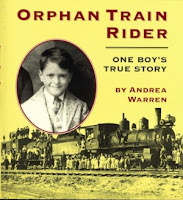 I always use Andrea Warren’s books—especially Orphan Train Rider: One Boy’s True Story—to show my college students how an author can provide background information and create strong feelings of empathy and emotion in readers. This book about how Lee Nailling and his brother were placed in an orphanage and later rode the orphan train to find homes in Texas truly grabs not only my undergrads who are about to become teachers, it grabs their students as well. The structure is very supportive of young learners. One chapter tells the specific story of Lee Nailling, and the next chapter gives historical background information. The chapters alternate throughout the book. At the end of the book, you are both informed and emotionally hooked on this topic! I use Orphan Train Rider as a basis of literature circles. I divide my students into groups of four or five to discuss the book. They each try out a discussion role: Big Idea Booster (the reader reports on the main idea), Fantastic Fact Finder (the reader tells about interesting facts and why she selected them), Photo Picker (the reader selects and discusses several photos), Setting Spotter (the reader discusses descriptions of time and place), and Discussion Director (the reader raises question she wants to discuss). By participating in a literature circle, my students experience what they can then do with their students. 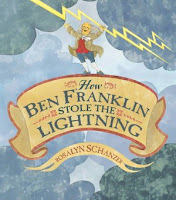 I use two books by different authors—for example, The Remarkable Benjamin Franklin by Cheryl Harness and How Ben Franklin Stole the Lightening by Rosalyn Schanzer—to show how different authors deal with the same subject. This strategy is helps students see that different historical accounts are really different. What do you see is the role of the school media specialist in helping teachers? The role of the school media specialist is crucial. Teachers and librarians are natural allies and need to work together as we figure out how to incorporate the CCSS. Each person brings a different set of skills to the table. Media specialists know about nonfiction books and a range of supporting materials like primary source documents that we need to develop quality instruction. They are experts at finding the material we need. Media specialists can play a central role in helping us put together lessons and units. Teachers, in turn, know their students—their strengths, needs, and strong interests. They also know the curriculum they need to teach. Together teachers and media specialists are a strong team. Do you have any suggestions for us authors about our roles in this transition? Authors can really help us during this time of transition and beyond. A major contribution authors can make is by being more transparent about the processes you use to write your books. Even though I know that you are constantly researching; thinking; and sifting and shaping information, most students who read your books don’t. You can help us by unpacking your process of writing. How do you find the topics you write about? What makes you passionate about a topic? What do you do to investigate? Once you find your information, how do you shape it? Do you work with an editor? How? It would be great if we could learn more about your decision making. Authors can also tell us more about their books. Specifically, since we are going to be looking at key ideas and details, craft and structure, and integration of ideas, it would help if you could discuss those features specifically in terms of your books. We are also going to be having our students consider an author’s point of view. How is your point of view revealed in your books? We are going to be doing more informative and argumentative writing. Tell us how you introduce ideas and concepts to your readers. Tell us how you make claims and write original interpretations and then back them up with evidence. This would really be helpful. We are trying to help students communicate clearly. Since that is what you do, we are really interested in knowing how you do it. Many of you give us this information in author’s notes. Keep on doing this. It’s extraordinarily helpful. Thank you, Myra and Vicki, for a most informative interview. Wow. I've been wondering what this new Common Core Standard was all about. Thanks for giving us such a nice, concise summary. Congratulations and a big thanks to Vicki and Myra for this timely and fascinating post. Here's hoping that a few teachers out there will latch onto some of Myra's teaching strategies with the Common Core Standards in mind. I especially like the way she contrasts and compares 2 or more very different nonfiction books that cover the same material because this approach helps students learn to think on their own and to realize that there's more than one monolithic way to approach a given subject. I also think it's great advice to focus on a single compelling book to teach multiple topics. If teachers don't know nonfiction books, they should run, not walk, to the school library! Every I.N.K. author is already on the shelves in the libraries in my school district, and we're focused on adding more. I'm sure my elementary experience is not unique. K-2 boys want to read nonfiction. A student will carefully work his way through the dinosaur books, move on to astronomy, or snakes, etc. He'll excitedly tell me all the facts he learned as he returns each book. Then a well-meaning teacher says, "You have to check out a chapter book." By 4th grade, this boy who read nonfiction avidly assumes he's not a reader, because he doesn't enjoy fiction. The emphasis on nonfiction reading in the CCSS may help us keep those boys identifying themselves as readers! Remember, teachers, authors and librarians make a great team when transitioning to the Common Core! Your library staff should be able to make great suggestions for incorporating nonfiction into your lessons. 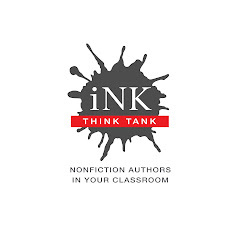 Vickie and Myra,thank-you.This interview is a primer for teachers as well as writers of non-fiction for young readers. We are there to inspire, as well as inform our students/readers. We also have to be aware of the changes in education in America, along with the very real problems.